Jodi Sta. 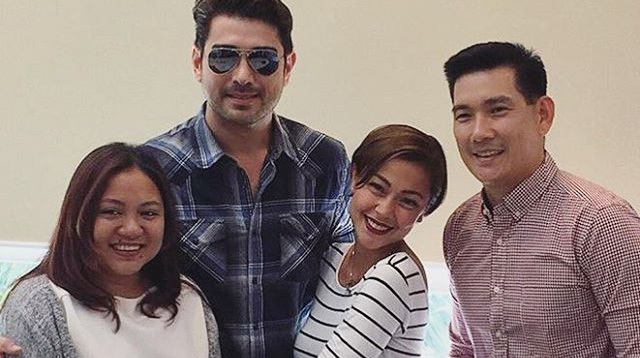 Maria, Ian Veneracion, And Richard Yap Are Starring In One Movie Together! Headlines, hot news, and conversation starters on May 4, 2016! 4 Taylor Swift sure knows how to throw an after party. Check out this cute snap of the singer chilling with her friends from the band Haim! The ladies ditched their gowns, slipped into some cute onesies, and ordered pizza. Perf! 5 Adam Levine announces that he’s pregnant too! Adam posted this adorable mirror selfie with his pregnant wife, Behati Prinsloo, with the caption “Week 20 and I'm finally popping! #impregnanttoo” Cute!